A number of tourism operators today filed a request for a warrant of prohibitory injunction against the government related to the new Eco-Contribution Tax which obliges operators to pay €0.50 per night per tourist over 18, with a maximum of €5. the Federation of English Language Teaching of Malta (FELTOM), the Professional Diving Schools Association (PDSA), the Malta Association of Hotel Executives (MAHE), Joseph Attard, Divesystems WS Limited, Toro Company Limited and the Malta Chamber of Commerce. The defendants are the Minister for Sustainable Development, the Environment and Climate Change, Dr Jose Herrera, the Minister for Finance, Prof Edward Scicluna and the Minister for Tourism, Dr Edward Zammit Lewis. Tourism operators earlier this month called for the tax to be initiated in November, and not on 1 June. Since a number of bookings for language students and tourists alike happen months in advance, with 44% being package deals, then the vast majority of all the tax costs will be incurred by the operators themselves. The plaintiffs argued that a number of host families – of which there are 1,000 licensed by the MTA – already threatened to cancel bookings since they will have to incur costs themselves. 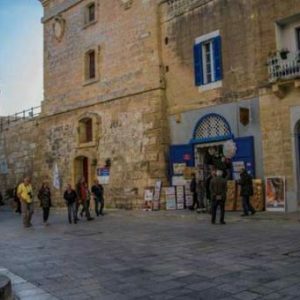 This will have a negative effect on the operators – specifically in administration, the clients, the industry in general, and Malta’s reputation. Another point raised by the complainants is with a clause in the bill saying that the law applied to all accommodation including “accommodation provided against payment, or not, in whichever place”. This sentence implies that even people who were to offer a place for their family or friends to stay will have to pay the tax. By extension, the plaintiffs pointed out that since Eco-Contribution is a tax, then there are certain fiscal obligations which hold criminal consequences in terms of sanctions to the operators if the obligations are not adhered to. If this is the case, then this will leave a serious negative impact on the entire sector. There was also a call for a proper study to be done by the government to properly evaluate the impact which this legislation will have on every single person who will be affected by it. The study must also be done with collaboration and strict consultation with all concerned bodies. The Plaintiffs also insisted that after all consultation is done, then the law must come into play two months after publication of the study so that all concerned will have time to adequately prepare for it. The accepted two-month moratorium was not observed by the defendants whatsoever since the legal notice was published on 20 May and the tourism operators were only given 10 days, until 1 June, to prepare for the new law. With consultation in mind, the government was accused of “completely excluding the exponents from this process in a way which all the operators, as represented by the exponent associations, and who represent a substantial number of operators in this sector, were not given the opportunity to make their voices heard and explain how they will be affected.” Additionally, the affected parties were never given any platform for discussion to try and lessen the drastic impact of the legislation. The plaintiffs also pointed out that the various attempts at being heard were all for naught, despite insisting until the very end to be given the opportunity to give their contribution. The final point presented by the plaintiffs which summarises the entire reasoning behind the warrant for prohibitory injunction says that they are asking for it since it is evident by now that the defendants will be breaking the law by passing legislation without satisfactory consultation or the appropriate two-month moratorium. The injunction was signed by lawyer Simon Galea Testaferrata.